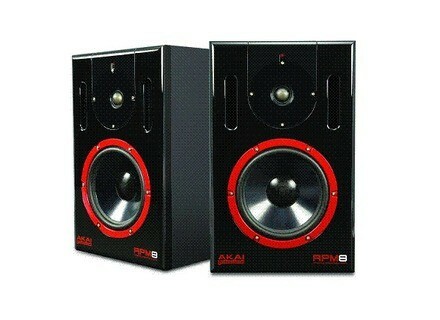 RPM8, Active Monitor from Akai. 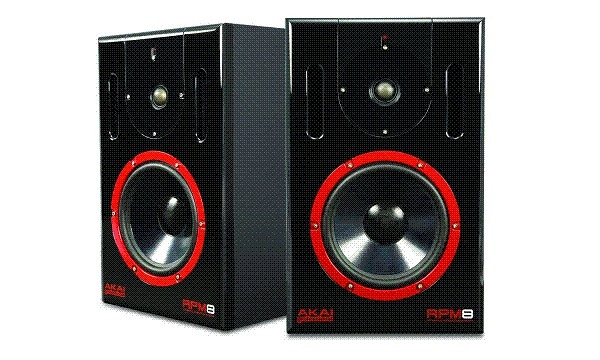 Akai announced that their RPM8 reference production studio monitors are now shipping to retailers. RPM8 studio monitors are two-way, active, bi-amplified, nearfield loudspeakers intended for producers, recording engineers, remix artists, DJs and other musicians. The two-way monitors each feature an eight-inch woven-kevlar low-frequency driver with 80W RMS of amplification for bass all the way down to 39 Hz. The monitors' high-frequency system consists of a one-inch silk-dome tweeter with 40W RMS of continuous amplification, mounted on a custom waveguide for excellent control of directivity and reduction of unwanted early reflections. RPM8 studio monitors are available from professional audio and musical instrument retailers. They have a U.S. Retail Price of $699.00 and an estimated street price of $499.00 each. For more information, check out www.akaipro.com. Mackie Onyx-i Series Windows 7 Support Mackie today announces Windows 7 support for a host of popular Mackie FireWire interfaces, including the new Onyx-i Series FireWire Recording Mixers. JZ Microphones Launches JZ Vintage Series JZ Microphones is announcing a new microphone line called JZ Vintage,a new "vintage" microphone line.